Governments, funding bodies and research organisations across the world are increasingly recognising the importance of including the ‘lived experiences’, values and priorities of consumers and community members into research policies and practice. This supports an aim of increasing translation of research evidence to improve health outcomes. 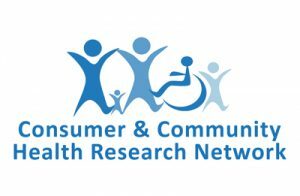 The Consumer and Community Health Research Network (CCHRN) support consumers, community members, and researchers to work in partnership to make decisions about health research priorities, policy and practice. Led by Deb Langridge, the CCHRN team works to facilitate and develop numerous workshops, meetings, training programs and resources for researchers, consumers and community members alike. The CCHRN team work closely with Western Australia’s five Universities, six Medical Research Institutes, Hospitals and Health Service Providers to encourage and facilitate partnerships with consumers and community members. The CCHRN team are excited to see growing opportunities for consumers and community members to be involved in health research, such as major research funding groups like the National Health and Medical Research Council (NHMRC) including guidelines which encourage and ensure involvement and participation through the research process. CCHRN was initially established in 1998 through The University of Western Australia’s, School of Population Health and the Telethon Kids Institute (founding partners) in response to community concerns and interests regarding the utilisation of linked data for health research purposes. Over the past 21 years, the initiative has evolved into a state-wide platform that is recognised nationally and internationally as a good practice model. The Network was previously led by Anne McKenzie AM. Anne has extensive experience in health consumer advocacy and in 2015, was appointed to the Order of Australia for service in this area. If you’re an interested researcher or community member who wants to find out how to be involved, why not join the Consumer and Community Health Research Network?